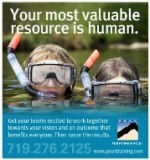 Peak Performance - List of Services for Corporations - Team Building, Leadership Training and more. Team Building -- Get everyone in your company singing off the same page and working together as a team. Team Retreats -- The future is change. The trick is getting your people to learn how to adapt and progress without missing a beat. Profiting from Change covers the basics of human reactions to change, and then trains your teams in the art of Seamless Adaption�. We�ll help your people stop resisting the inevitable and start using change for competitive advantage. Leadership Development -- These incredible experiences take you deep into the world of Optimal Leadership� - a highly adaptive form of leadership that addresses the needs of the individual, the circumstance, and the setting in which you find yourself. We�ll teach you how to assess the learning styles and personality differences within your teams. Then we�ll help you establish a long-term leadership style strategy so you can get your teams optimizing the impact they have with your customers and within your organization. 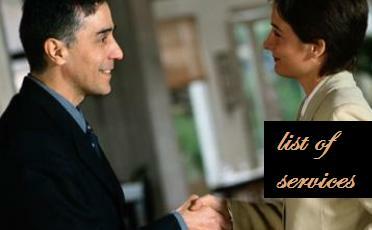 Management Skills Training -- Show your sales and management teams that they can accomplish more with less! Our Achieving the Impossible for sales and management teams challenges their perceived limitations and demonstrates that their potential far exceeds their current levels of performance. They will leave ready to take on the world! Employee Skills Training -- Get your employees off to a good start, increase retention rates and built the company you always wanted. Open Enrollment -- These activities, facilitated by caring professionals who become guides, coaches, leaders, and--most of all--friends, engage the whole family. No one is left out, everyone is needed, they all have an important part to play, and they all LOVE it! Facilitation and Consultation Services -- Peak Performance provides facilities and coaching for professional workshops, employee retention programs, strategic planning sessions, product development retreats, training the trainer programs and several other services. Special Events -- Unique, FUN, high-energy, hands-on, interactive experiences to inspire, motivate, and connect participants. Performance Predicting Assessment Tool -- You are invited to take this complimentary survey to help predict the degree of benefit your company can derive from Peak Performance training.